Your donations go a long way in helping us fund our All-Stars events. We keep our overhead extremely low, but funding to purchase equipment, food, and venue rentals is necessary to maintain and grow our current programming. You can make a one-time donation or give a monthly recurring gift. 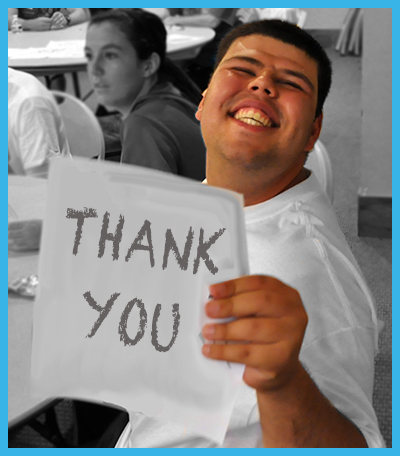 We also offer sponsorship opportunities for local organizations looking to support the special needs community. All donations go through our parent ministry, Activ8 Sports. Please consider joining our Perfect 10 Club and donating $10/month to sponsor one of our All-Stars to attend each month. You can also donate a one-time gift to support our programs. Thank you! Funds an All-Stars Club for an entire year! Funds an All-Stars Club for 6-months. Funds equipment purchases for a new location. Funds an All-Star participant & volunteer to attend for one year. Funds an All-Star participant to attend one event.